Got to love Joe Walsh. 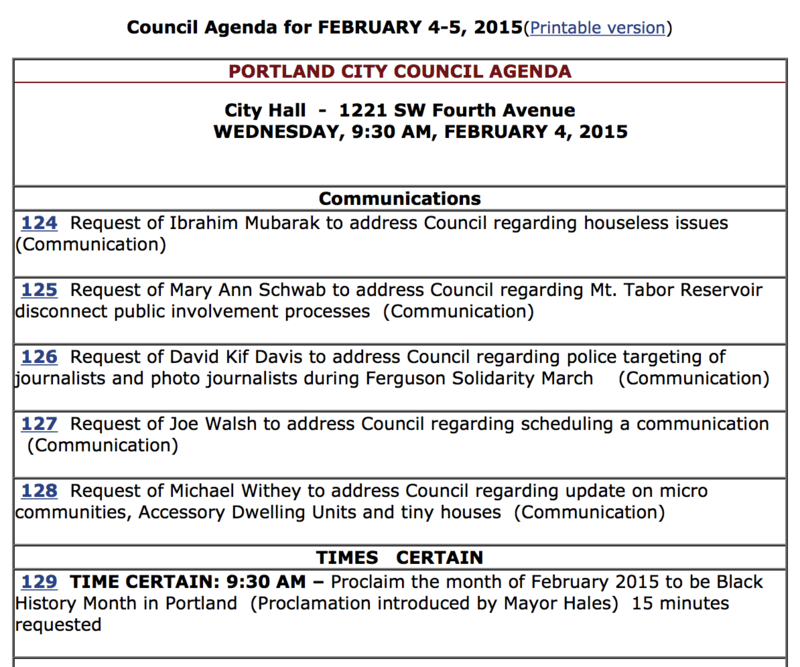 Only he would address council regarding scheduling a communication. His delivery is brash, but listen carefully and you’ll find he knows his issues, and his passion livens up what can sometimes be very tedious proceedings. 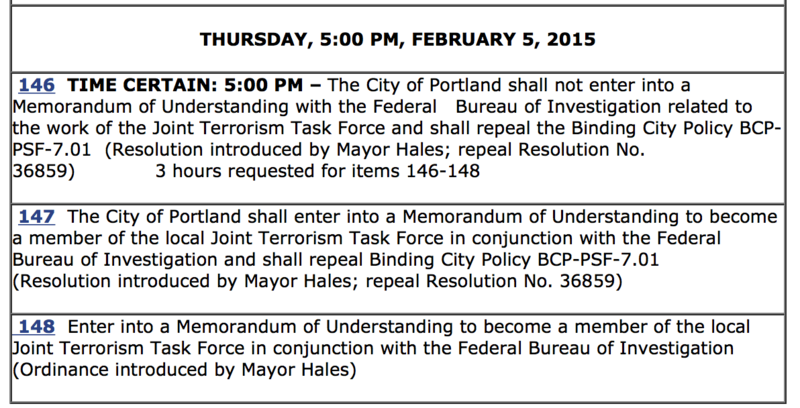 Item #133 – Second reading. 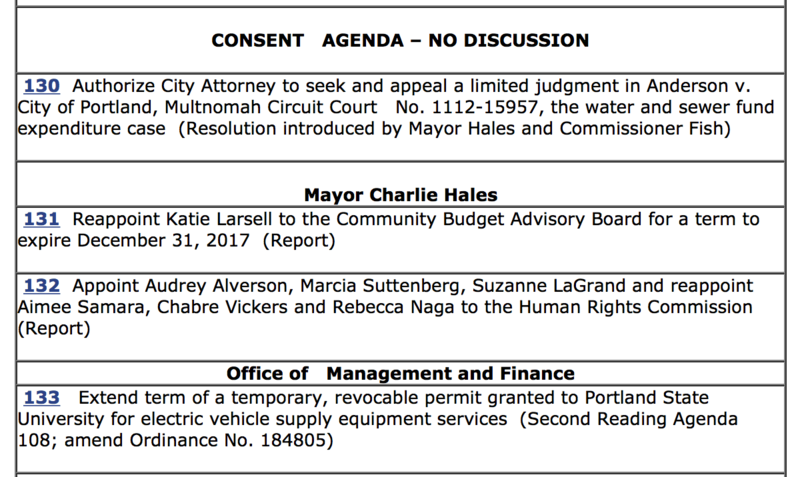 Extends a permit given to PSU to create an “Electric Avenue,” basically a bunch of free charging stations for electric vehicles. PSU is going to move the stations to other parts of the city. There is no financial impact to the city. 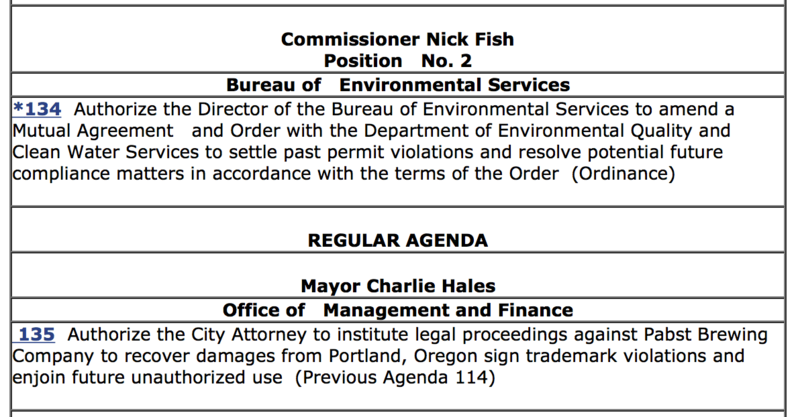 Item #134 – Vote and takes effect immediately. Enters into an agreement with DEQ to meet deadlines for building a pump stations, etc. No financial impact to this. Item #135 – Vote on last weeks Agenda Item #114 – suing Pabst for making their unicorn look too much like a reindeer. 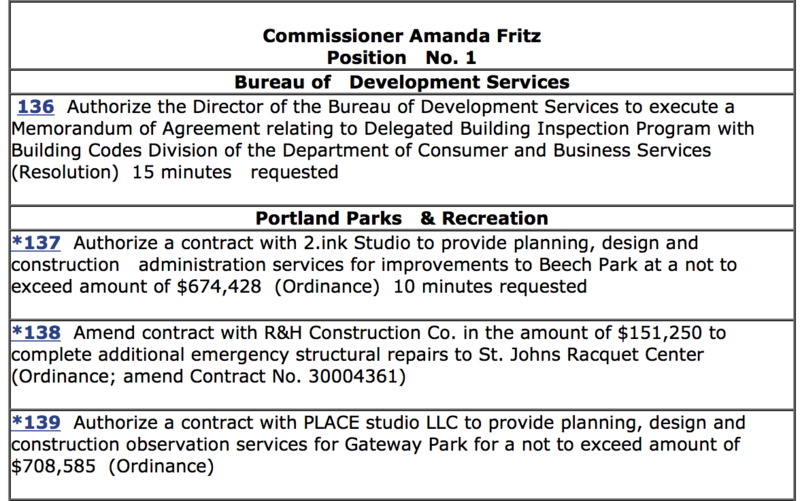 Portland Parks & Rec starting to spend some of the bond money. 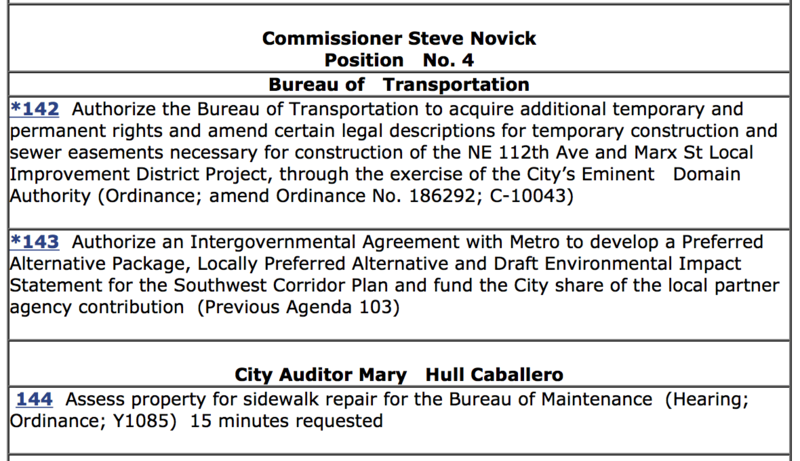 Item #145 concerns affordable housing. This is important.